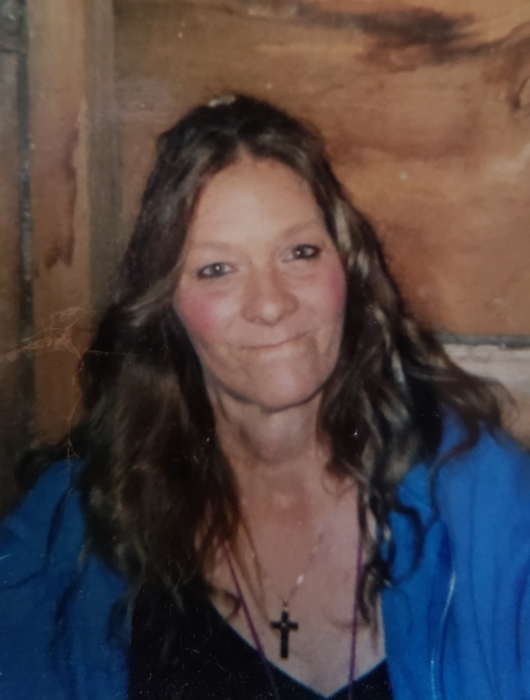 Obituary for Shirley (Hill) Doane | Bowerman Funeral Home, Inc.
Shirley Ann Doane (Hill), age 55 of VanMeer, died peacefully at her home on Wednesday, October 24, 2018 following a brief illness. She was born on March 11, 1963 to Delphine Violet (Thompson) and William Hill. Shirley’s family moved to the Detroit area and she attend school there. She was a proud member of the Marine Corps R.O.T.C. while at River Rouge High School. Shirley moved back to the U.P. in 1997. She loved the outdoors, camping, and sitting around a camp fire with family enjoying a PBR. She had a special place in her heart for her dogs and birds. Shirley was a hard worker in the woods cutting and stacking firewood, and would not come out of the woods until she had her quota. Shirley was giving person, who wanted to help others in any way she could. Shirley loved her children dearly, but when she became a grandmother, she found her calling. She is survived by her fiancé – Tom Glun; children – Randy Bruce of Christmas, Tonya Tumey of Detroit, and Tabitha Doane of Wetmore; mother – Vi (Dave) Chaney of River Rouge; grandchildren – Michael Bruce, Jamie, Jr., Anthony, Kristy, and Joy Brown, and Julianna Tumey; siblings – Sherry, Frank, Phillip and Glenn Hill, and Marlena Cromell; step-siblings – Allen “Champ” Miron, Brenda (Don) Watson, Larry Michel, and David Chaney; and numerous nieces, nephews and other relatives. Shirley was preceded in death by her daughter – Jessica Bruce; father – William Hill; brother – William James Hill, Jr. and Uncle Walt and Uncle Bob. Visiting time will take place on Friday, November 2, 2018 at the Munising Township Hall in Wetmore starting at 12:00 noon. A time for family and friends to share stories and remembrances will be at 1:00 p.m. with a luncheon and more visiting to follow.